Following performances in Chicago, Pierre Boulez led the Orchestra, Chorus (prepared by Margaret Hillis and singing in Hungarian), and soloists tenor John Aler and bass John Tomlinson in recording sessions for Bartók’s Cantata profana on December 16, 1991. 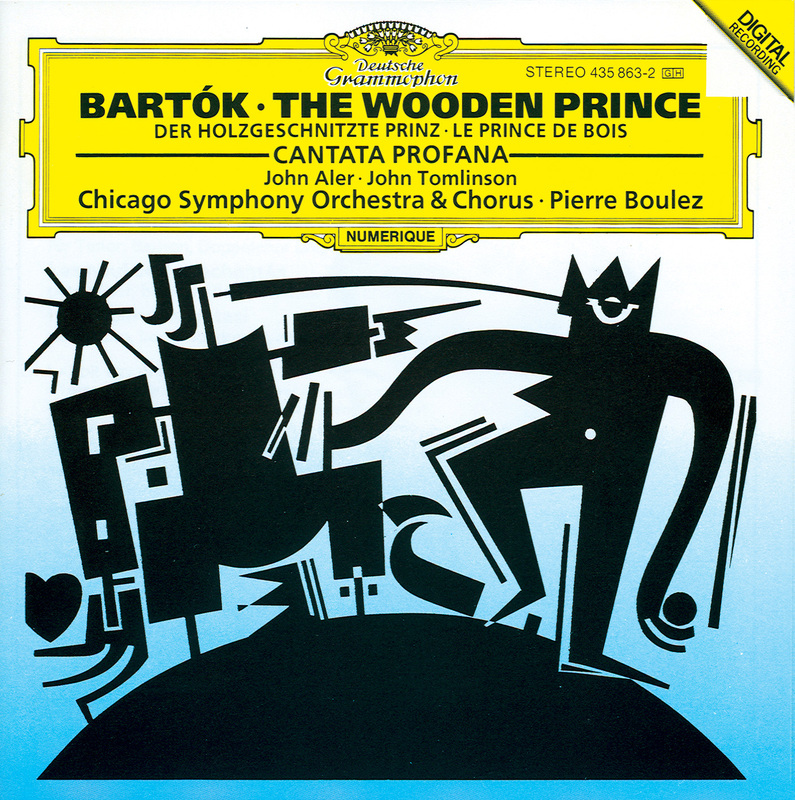 Later that week, Boulez and the Orchestra recorded The Wooden Prince on December 20 and 21. Deutsche Grammophon paired both works and released the recording in early 1993. On March 1, 1994, the recording was awarded four Grammy awards from the National Academy of Recording Arts and Sciences. The Orchestra’s performance of The Wooden Prince was recognized in the Best Orchestral Performance category, and the Chicago Symphony Chorus was awarded Best Performance of a Choral Work for its rendering of the Cantata profana. Rainer Maillard was recognized for his work in the Best Engineered Recording–Classical category, and the entire release won for Best Classical Album.